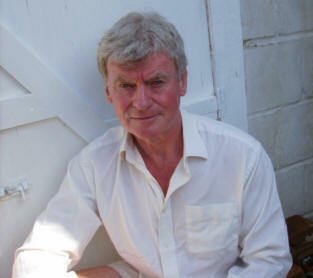 "‘I didn’t like the people,’ Ivor said. Ivor went through it. Dutifully, dully, in the same stony dead way in which he would be responding, in a year’s time, to questions about what he had done that day at school. He’d been in the kitchen. The woman and boy had come in behind him from the back hall, laughing and talking together. They’d walked right past him, ignored him completely – no, he hadn’t tried to speak to them either – and then gone through the open door into the scullery. Then he didn’t see or hear them any more. Perhaps they’d gone out through the back door into the garden? Ivor didn’t think so. He hadn’t heard the outside door open. The laughter simply stopped and they weren’t there. ‘But funny.’ Ivor demonstrated, touching places on his own short legs, that the shoes were ankle-boots, and that the shorts came down to just below the knee: not a fashion seen in the streets of Rye at that time, which was the late seventies." ‘You could if you took the doors off,’ Ivor said. ‘Then you’d see the doors were missing, surely,’ Gemma objected. ‘Not if you were walking backwards or... Oh, I don’t know.’ Ivor appeared to lose interest in the subject at that point. Though there had come into his mind the image of a gauze: a gauze that let the light through from one side but not the other. 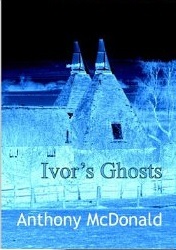 But his next question was, ‘Why don’t you write a ghost story instead?’"
Ivor's Ghosts is published as a Kindle e-book by Anchor Mill Publishing.